CYBG said the new firm would be a leading force in banking, “disrupting the status quo and championing customer service excellence”. It will be the UK’s sixth-largest bank, with about six million customers. CYBG said it had entered into an agreement with Sir Richard Branson’s Virgin Group to keep the Virgin Money brand. 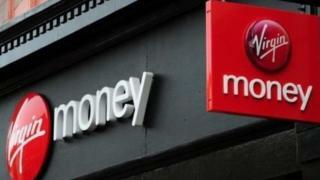 Virgin Group is Virgin Money’s biggest shareholder with a 34.8% stake in the business. Under the terms of the deal, Virgin Money shareholders will get 1.2125 new CYBG shares for every Virgin Money share they hold, and will end up owning about 38% of the combined business. CYBG said the combined group would have about 9,500 employees, but it intended to reduce that total by about one-sixth, meaning about 1,500 jobs would go. It said some of those job losses would be achieved “via natural attrition”. Virgin Money, which was founded in 1995, expanded its business in 2011 when it bought the remnants of Northern Rock for about £747m. Nimbleness and the ability to attract customers through new technology have been seen as challenger banks’ main attributes. That is why the Open Banking scheme – opening traditional accounts to specialist services from smaller players – appeared to be a potential game changer for fintechs and banking upstarts. But the TSB fiasco may well have damaged consumer confidence in these companies being able to provide more customer-friendly tech than the big banks. With this deal, the focus shifts to a more traditional form of competition – growing a business to a sufficient size to take on the incumbents at their own game. CYBG said the takeover would “bring together the complementary strengths of two successful challenger banks to create the UK’s first true national competitor to the large incumbent banks”. He added that “technology and agility” were the factors that would decide the future of banking. “I think we have sufficient scale – the brands, the product and the technology,” he said. Mr Duffy will retain his current position in the combined group, as will CYBG chairman Jim Pettigrew. Virgin Money chief executive Jayne-Anne Gadhia has agreed in principle to stay on as a consultant for a limited time after the deal goes through. Would you buy a flying car that costs nearly £300,000?